Is there actually an age barrier for learning languages? I have been learning Chinese for roughly the past six years, irregularly, in high school and now college. I would not call myself fluent in the least, even though I am at a level where I probably know at least half of the standard vocabulary used. I began learning when I was 12 and continued taking the language for about eight months out of a year for the rest of my time in grade school. So why am I barely fluent in Chinese after so long learning it? Is there actually some sort of metaphysical barrier based on age for learning a second language? Or is it just a slower process, either due to the time spent learning, effort put into learning, or the difficulty of the language? Before I get into second language learning, I thought I’d look into what it entails to learn a language in the first place. In 1967, linguist Eric Heinz Lenneberg suggested his ‘critical period hypothesis,’ in which he theorized that children must acquire the ability to speak their first language before puberty in order to develop proper understanding and usage of the language. At the time, Lenneberg only had the indirect evidence available to support his hypothesis, although from that evidence (which was the general knowledge of how humans tend to begin learning their first language as toddlers or young children) he was able to suggest a mechanism to his theory; he believed that after maturing, an adult’s brain loses the plasticity it utilized as an adolescent to learn exceptional amounts of information in days or hours at a time. Thus, if language is not learned within that time period, the brain loses the physical ability to adapt to the addition of linguistics. after six months of being hospitalized she was able to communicate at around a four or five-year level – that is, as much as a four or five-year-old can speak. While attempting to develop language abilities, Genie showed some progress with recognizing words, but had more difficulty comprehending them, such as the difference between ‘or’ and ‘and.’ Because of the study, linguists now believe that acquiring language skills early in life is crucial for being able to form grammatically correct sentences. Unfortunately, funding for the study around Genie’s language development was dropped and not much is known after the fact. Now we know that while it is not impossible to learn language after puberty, it is extremely difficult to practice grammar or comprehend some words or phrases, at least in Genie’s case. To be more relatable to us, though, who have already learned our first language, let’s look into age barriers for learning second languages. In terms of learning a second language, Lenneberg’s critical period hypothesis can be expanded to encompass the secondary learning by stating that while a human mind has a large capacity to learn and comprehend languages, that ability has a negative correlation with age. While age increases, the ability to grasp the workings of a second language decreases. Most studies done in researching the difference between child and adult learning conclude with the acceptance that there is a definite advantage for children than adults, especially in acquiring the correct tone and accent of the second language. This rings a bell of truth with my own anecdotal experience in learning languages. I had spoken only English for over half of my life, and began studying Chinese after I went through puberty. 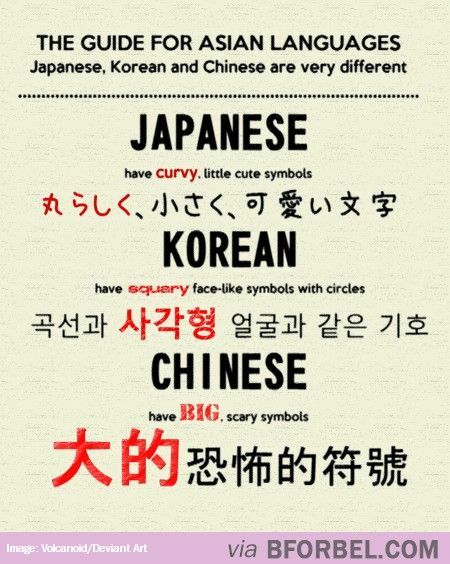 However, I also find that when I study other languages, like Korean and Japanese, the words, sounds, and grammar come easier to me than Chinese. While a majority of studies, like those that use Lenneberg’s hypothesis as their base, claim that there is a difference between child and adult second language learning, I did find one study that attempts to refute or rule out possible outcomes of other studies. A bit into their article, they reference research comparing Asian immigrants to the United States, varying in age between 3 and 26. The original study found that there was a consistent decline in ability to learn as the subjects age increased. However, the article critiquing the study noticed that in the visual description of the information, the ability to learn for younger people typically stayed around the trend line, but the older people’s learning ability had a much greater variance, with some performing worse than the younger subjects, and other performing the same or even better. Based on the evidence I found in these studies, but especially in the last, I believe that learning a second language proficiently can be dependent on age, but is also heavily influenced by an individual’s desire to learn, natural competency with grammatical skill, and the general difficulty of the language being learned. I think in the correct environment, such as in a rigorous classroom or travelling to the country itself, anyone can learn a secondary language if they try hard enough. In my own case, I believe in the idea that minds are more malleable at a young age, so since I started later I had a disadvantage to begin with. However, I think some people are able to overcome that disadvantage with either a natural aptitude for language learning, or their ability to learn is enhanced by their desire to learn the language. I personally enjoy learning other languages more than Chinese, which, paired with the fact it is one of the more difficult languages to learn, could explain why it can take a very long time for people to become fluent. This entry was posted in Uncategorized on November 11, 2016 by Emma Schadler. I never understood why it is made mandatory for many of us to take a language in high school and even in college (unless you are majoring in it) if it is well known that it is much more difficult to learn in at a later age. So why do we attempt to learn a second language now when it is much harder to become fluent vs. when we are in elementary school where our brains are more flexible to acquiring a new language? 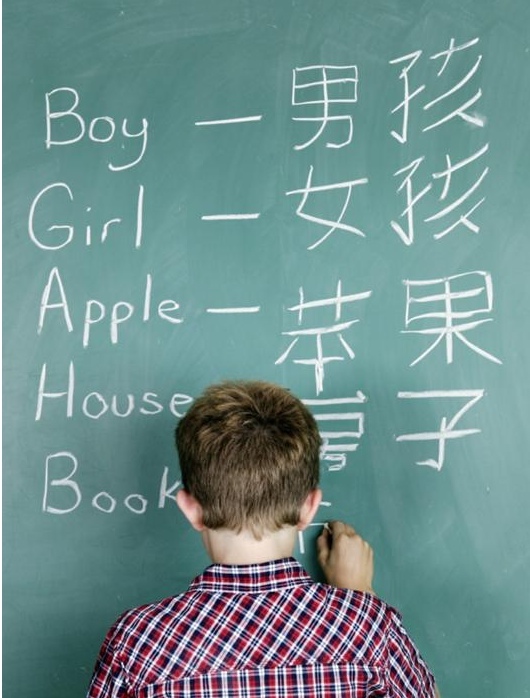 https://www.washingtonpost.com/lifestyle/magazine/parents-want-elementary-pupils-to-learn-foreign-languages—-but-where/2014/10/30/2b2f0864-4d7e-11e4-aa5e-7153e466a02d_story.html I came across this post in The Washington Post of a woman whose son was learning to be bilingual because his parents were but it was difficult for him to keep his double language ability because so many schools in America does not offer secondary language classes until middle school.